Looking to maximise the potential of your space? Lighting control solutions from Lutron can help you improve comfort and productivity, save energy, and contribute to your bottom line. Manual controls, including wallstations and personal remotes let building occupants control their light, saving energy and reducing electricity demand. Studies also show that when employees are given personal light control they often prefer to dim the lights, increasing energy savings, and enhancing productivity. 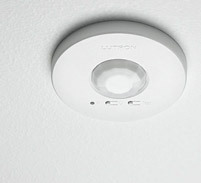 Many Lutron solutions, such as the Energi Savr Node, can also control fluorescent lighting, and Lutron digital addressable ballasts can dim reliably to 1% light level. Lutron provides a wide range of automated controls including occupancy/vacancy sensors, timeclocks, daylight sensors, and automated blinds. 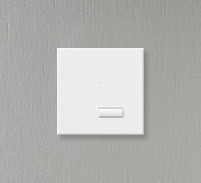 Occupancy sensors can automatically turn lights on when a space becomes occupied or vacancy sensors can dim or turn off lights when spaces are unoccupied. Reliable automated time clocks can provide a highly desirable scheduling feature that adjusts lights or blinds at certain times of the day or in relation to sunrise and sunset. 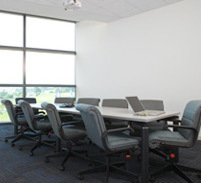 Daylight sensors automatically adjust electric lighting levels based on the amount of daylight in a space. When it comes to automated control of both daylight and electric light, Lutron provides reliable solutions for any space. Daylight has both aesthetic and energy saving properties, but it must be controlled to take full advantage of these benefits. Whether it's automated blinds to control heat gain and glare or daylight sensors to enhance energy savings, Lutron provides flexible solutions that maximise the efficient use of daylight.